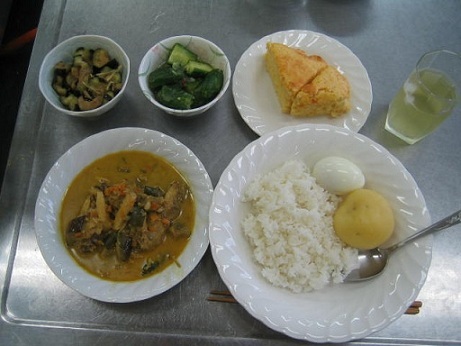 Do you remember that I was taking a cooking course last year? It was over last December. 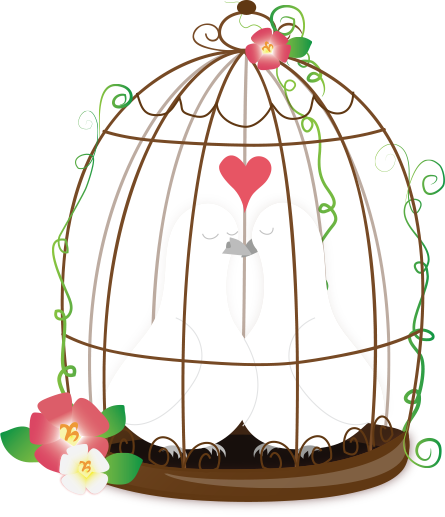 I’d like to show you several pictures that I haven’t uploaded yet. 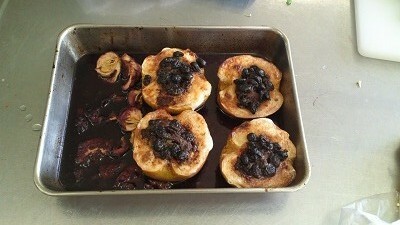 I’d like to introduce a baked apples recipe before apple season is over. (Has the season already finished?) This is very easy and delicious. Try it. Dip the raisins in your favorite alcohol in advance. Cut an apple in half. Remove (dig out) cores using a spoon. Sprinkle lemon juice over the apples. Fill raisins in the holes. Place apples in a baking pan. Put granulated sugar, cinnamon powder, and butter over the apples. Add ingredient B in the baking pan. Preheated oven to 180-200°C and bake for about 40-50 minutes. Pour wine syrup in the pan on the top of the baked apples. 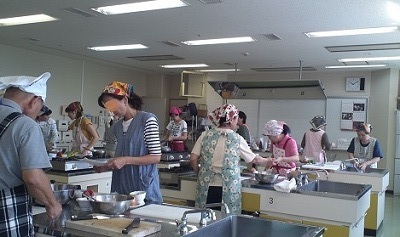 I attend a cooking class at the community center once a month. It is 6-part series till next month without paying tuition fee. 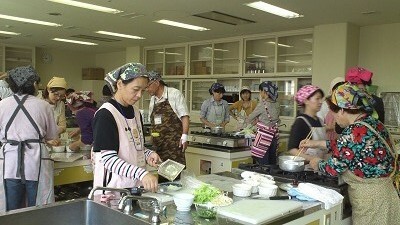 Only fee for cooking ingredients is required. 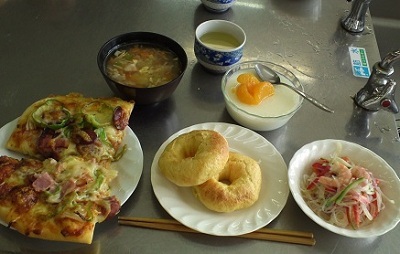 “Today’s menu” was carrot bagel, Thai-style salad, almond jelly and Pizza. Do you know how to make bagels? Bagels need to be boiled before being baked. Eye-opening recipe! 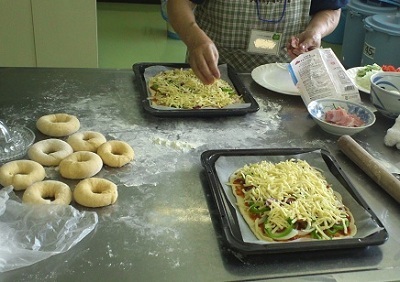 I’ve come to make pizza at home since taking this class. Cooking in the oven allows me to cut down my time in the kitchen. Furthermore I use the ready-made dough at home. 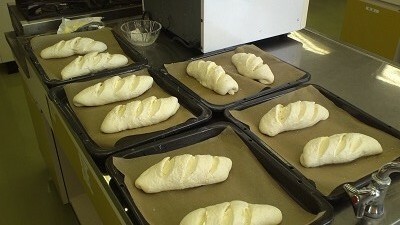 At the class, we made dough from flour.